To access QTC’s Designated Investments, please complete the form below. The information on this web page is a guide only. Potential investors in QTC’s designated investments should refer to the application form and accompanying terms and conditions. What is Queensland Treasury Corporation (QTC)? QTC is a corporation sole incorporated in Queensland, Australia. As the State’s corporate treasury services provider, our role is to implement the operational functions of a corporate treasury for the benefit of our customers and the State. QTC is not prudentially regulated in respect of the Designated Investments issued by it. Payment of interest, and payment of principal on maturity, is guaranteed by the State of Queensland. What is QTC's role in the Designated Investments scheme? For more information about Designated Investments, please refer to the Department of Immigration and Border Protection. What investment amounts and terms does QTC offer? Please refer to the Department of Immigration and Border Protection and the Queensland Government’s skilled business migration website for the amount you are required to invest. Any fees incurred as a result of transferring funds to QTC must be paid by the investor. Please confirm the costs involved with your financial institution. How do I obtain current interest rates? The interest rate is determined by QTC having regard to prevailing market rates on the date of receipt of the full amount of the investment funds. The interest rate applicable remains fixed for the term of the investment. Interest rates are updated monthly by QTC. Indicative daily interest rates can be obtained by contacting QTC’s registry, Link Market Services Limited (Link). View current interest rates. The Queensland Government guarantees the payment of interest and the repayment of principal at maturity. Does QTC charge any fees? No. QTC does not charge any up-front or ongoing fees relating to the investment. How do I receive my interest and principal? Interest and principal payments are paid by direct credit to an Australian Bank, Building Society or Credit Union account. If, at the time of the investment you cannot provide Australian banking details, these details may be provided later to Link. Australia has an interest withholding tax regime. QTC strongly recommends that investors seek independent professional Australian tax advice or contact the Australian Taxation Office prior to purchasing the Bonds. To access QTC’s Designated Investments application form, please see the pull-out box on the top right-hand side of this page. If you would prefer an application form to be posted to you, contact Link (details are below). Do the tax file number and exemption sections need to be completed? Yes. Your application cannot be processed until one of these sections is completed. The section that you are required to complete is based on your personal tax situation and residency status. For further information on Tax File Numbers and exemptions, please contact the Australian Tax Office. What happens once I have sent the application form and the investment funds? Link will also send your signed immigration form to the Department of Immigration and Border Protection, who will then process the applicable form and contact you. Who do I contact after the investment has started? Once you receive confirmation that the investment has started all enquiries are to be directed to Link (details are below). Who do I contact if my details change? If you have changed your address, contact details or banking information, you need to notify Link. 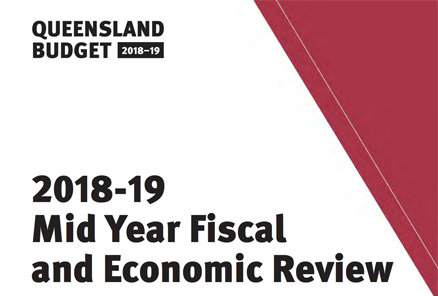 The Queensland Government released its 2018-19 Mid-Year Fiscal and Economic Review on 13 December 2018. The material presented in this website including the information on the following pages in relation to QTC’s Designated Investments and the downloadable application form (the Content) is distributed by Queensland Treasury Corporation (QTC) as an information source only. The Content should not be construed as an offer, recommendation, invitation, or inducement, to subscribe for or purchase any security of QTC. The Content does not constitute and is not intended to be financial or other advice, and is not to be relied upon as the basis for any investment or other decision. Investors should seek their own professional advice tailored to their own particular financial circumstances in relation to any investment they may consider making. Please see full details of QTC’s legal notices and disclaimer. The Content should not be accessed by you in circumstances where access to it could constitute an offer or inducement that would result in a contravention of any laws, rules, directives, regulations or any other restrictions in your local jurisdiction. United Kingdom: The Content is intended only for: (i) persons who are outside the United Kingdom; (ii) ‘investment professionals’ as defined in Article 19(5) of the Financial Services and Markets 2000 (Financial Promotion) Order 2005 (the FPO); or (iii) persons falling within Article 49(2)(a) to (d) (high net worth companies, unincorporated associations etc) of the FPO. All such persons together being referred to as ‘Relevant Persons’. Furthermore, the Content is directed only at Relevant Persons and must not be acted on or relied on by persons who are not Relevant Persons. Any investment or investment activity to which this document relates is available only to Relevant Persons and will be engaged in only with Relevant Persons. United States: Save for QTC’s US registered programs, the securities, borrowing programs or facilities described in the Content will not be registered under the US Securities Act of 1933 and may not be offered, sold or resold within the United States or to US Persons (as defined in Regulation S under the Securities Act) unless in accordance with an appropriate exemption under US law. you can access the Content without breaching any laws, rules, directives, regulations or any other restrictions in your local jurisdiction and, in particular, the restrictions in relation to the United Kingdom and United States. To confirm and continue, click on ‘Agree’.